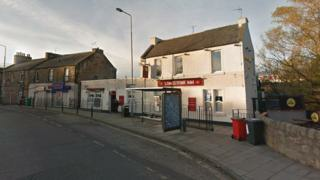 A 44-year-old man has died following a disturbance near a pub in the south-west of Edinburgh. Police were called to a lane next to the Longstone Inn on Longstone Road at about 01:30. The man had suffered serious injuries and was taken to Edinburgh Royal Infirmary where he later died. The death is being treated as suspicious and the area has been cordoned off while inquiries are carried out. Det Ch Insp Keith Hardie, from the major investigation team, said: "We believe a number of people were involved in the disturbance in the lane at the side of the Longstone Inn, and I am appealing for anyone who witnessed the incident or has information to get in touch immediately."